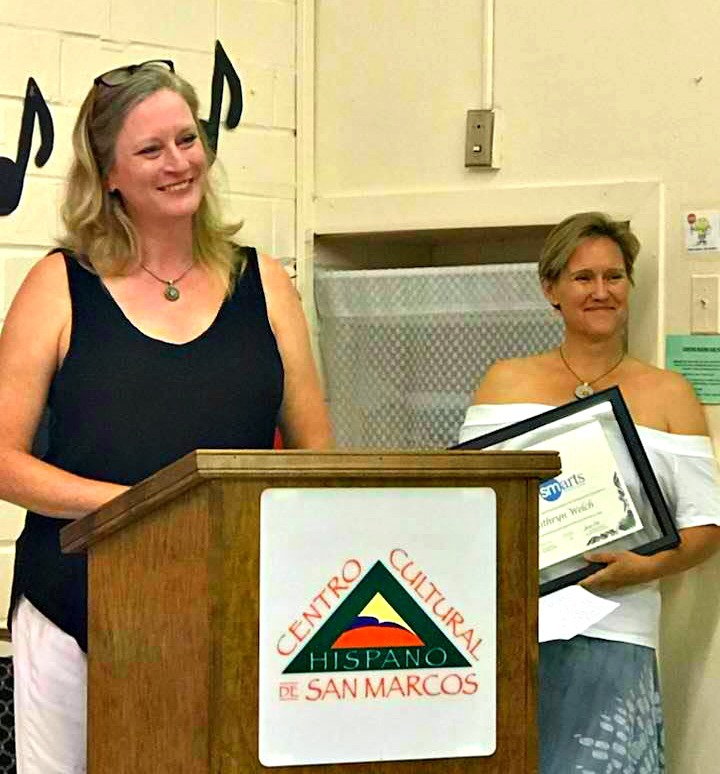 In 2017, Kathryn Welch was awarded the SMArts Advocacy Award, present by the San Marcos Arts Commission to individuals and organizations that are making a significant contribution to the San Marcos arts and cultural scene. In 2017, the City of San Marcos purchased Kathryn's three-panel piece entitled, "Spirits of San Marcos." This piece is on permanent display in the San Marcos Public Library. 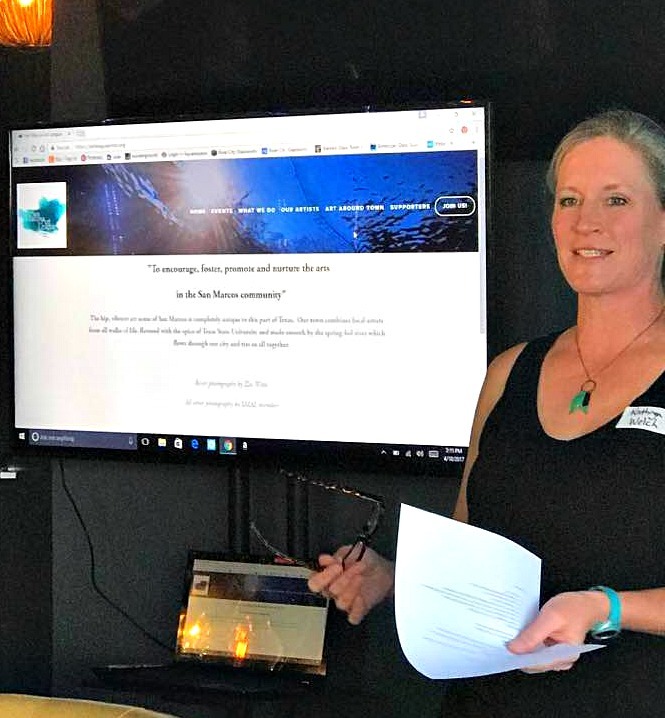 Kathryn Welch, owner and artist at River City Glassworks, is seen here addressing the San Marcos Art League, which she serves as president. Kathryn's stained glass art was featured in an article in the San Marcos Daily Record, which announced a new art show in town at the Price Center, to be held quarterly. The name of the show is "Art in the Alley." Four times, the stained glass artwork of Kathryn Welch has been chosen for publication in Delphi Glass' catalogs. This is a great honor, as Delphi has thousands of images from which to choose.